A great big THANKS for all your help Chris. It’s been a pleasure having you as our Realtor! We appreciate all that you did for us in both the selling of our property and helping us find a new place. Our 5 year retirement plan was almost at it's end. We were ready for a lifestyle change. 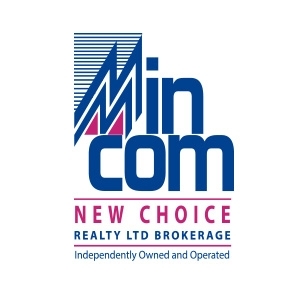 We called our friends Jo & Judy at MinCom New Choice Realty. Judy having worked in the city for many years was familiar with the Toronto market. Her expertise and negotiating skills got us an amazing sale price! Jo kept us on track, knew what we wanted and suggested Cobourg. We love it here and enjoy discovering all the wonderful places and attractions the area has to offer. They were able to find and help us buy a home east in Northumberland and help sell our house in Toronto.That's pretty special! 30 years ago my wife Joan and I bought a 2 bedroom condo. Recently Some neighbours started selling and moving to a resort style retirement home nearby. Our family made the arrangements but my son said our condo needed a lot of work if we wanted to get the best price. He met with Judy from MinCom who suggested her Property Stagers would take care of it all. Our family made the right decision to hire Judy and her crew. We managed to get one of the highest prices in the building. After living 30 years in one place, deciding to move was huge for me. I’m a very social person and I love visiting with my friends and family. My grandchildren always had fun swimming in the pool. My friend recommended Kathy from Mincom. There was never any pressure and Kathy always kept me well informed. I guess you. I guess you could say Kathy held my hand through the whole process.Thanks Kathy, Good Job. sense of humour and her attitude and concern for welfare made all the difference. We trusted she would find us the right place and she did. But, there were multiple offers on the place we wanted to buy. Luck was on our side and so was Anna, we got the deal! Next thing was to sell our place. Done! No problem, Anna did a great job. We love to Golf here in the summer but when the cold weather comes, we head South. Judy from MinCom New Choice has been our agent for almost 20 years. We trust her advice and know she has excellent negotiating skills. We were thrilled at the price Judy had negotiated for us. We freed up some capital and made some great investments. Now we Golf here in the summer and go to the sunny South for the winter. Life is Good!! I've played hockey for many years...still do. I remember meeting Judy from MinCom back then, so I thought I would give her a call. I wanted to know what price I could expect and what was needed to prepare my house for sale. What happened next was unbelievable!! Judy, Anna and their crew of specialists came in. They had me doing things I never dreamed I would be doing…to the house that is. I'm glad I did. Judy was right, the house sold for an unbelievable price! Thank you Ladies, couldn't have done it without you.